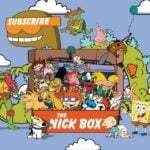 Check out the latest The Nick Box Spoilers on My Subscription Addiction! The Nick Box Spring 2019 Spoiler #2! The Nick Box Spring 2019 Spoiler #1! The Nick Box Spring 2019 Available Now + Theme Spoiler! The Nick Box Winter 2018 FULL Spoilers! The Nick Box Winter 2018 Spoiler #1! The Nick Box Winter 2018 Available Now + Theme Spoiler! The Nick Box Fall 2018 Box FULL Spoilers! The Nick Box Fall 2018 Box Spoiler #2! "I got mine today too and absolutely love it as well! I will use everything in it - which is really, really rare..."
"Hey guys! Does anyone know if we can upgrade to annual then immediately afterwards - purchase this box? TIA! 😘😘"